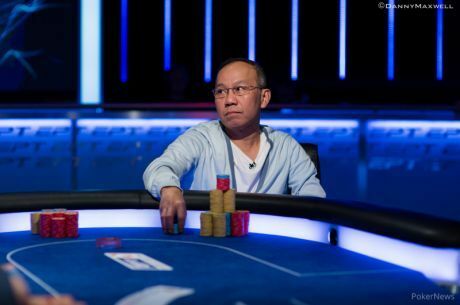 High-stakes pro Paul Phua and his son Darren Phua were denied a request to play poker at Las Vegas casinos while released on $2.5 million in bail. Malaysian high-stakes poker pro Paul Phua, 50, and his son Darren Phua, 23 were among the eight people arrested in July 2014 for their alleged involvement in an illegal betting operation at Caesars Palace in Las Vegas. 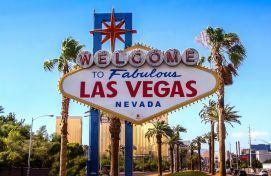 The Phua duo requested US Magistrate Judge Carl Hoffman to remove the ban from playing poker in Las Vegas casinos while they waiting for a ruling on whether the FBI illegally entered their hotel suites last summer which resulted in gaining evidence for the arrest. This request was denied on January 8.
, Assistant United States Attorney Kimberly Frayn's argument for opposing the request was, "The defendants are not lawfully present in the United States. They are present only until this criminal matter is resolved and then they will be expelled. They are charged with crimes connected to unlawful gaming activities, which they conducted clandestinely on casino premises and which were furthered through associations made and maintained through poker gambling salons located within the casino." Defense attorneys David Chesnoff and Thomas Goldstein argued that the allegations against their clients did not involve "illegal poker playing." Chesnoff and Goldstein also implied there was no risk of the alleged activities since "the casinos are highly regulated environments with cameras throughout." According to the Las Vegas Review-Journal, US Magistrate Judge Carl Hoffman ultimately agreed with the prosecutors due to no new evidence being presented and furthermore that the Phua's are still considered to be a danger to the community, especially casinos. Despite the denial, US Magistrate Judge Carl Hoffman is still undecided about whether to allow evidence surrounding the raid based off the defense's arguments. "The notion that an individual 'consents' to such searches — so that the government is free to ignore the Fourth Amendment’s explicit warrant requirement — is, in a word, absurd. "Our lives cannot be private — and our personal relationships intimate — if each physical connection that links our homes to the outside world doubles as a ready-made excuse for the government to conduct a secret, suspicionless, warrantless search. Only a few remote log cabins lack any Internet, electric, gas, water, cable, or telephone service. But the Constitution does not require us to sever all those connections — and live as heremitic luddites — to protect ourselves from the government’s prying eyes and secret cameras. "A ruling upholding these intrusions would cause innocent Americans to live their daily lives burdened with the palpable sense that their government is regularly scheming to spy on them in their homes." Stay tuned at CasinoSmash as more develops with this case. Bonus info: terms and conditions apply to the offer. If something isn't clear, have a look at our review of All Slots Casino for the T&Cs in full. The offer on this article might have expired by the time you read it. Please refer to the review pages for the latest bonuses and promotions available.